The Rhodes College chapter of the Society of Physics Students (SPS) is comprised of students who share an interest in physics and a love of sharing their enthusiasm for science with others. The Society of Physics Students is a professional association explicitly designed for students, and governed by a national council of physicists and physics students, under the organization of the American Institute of Physics. 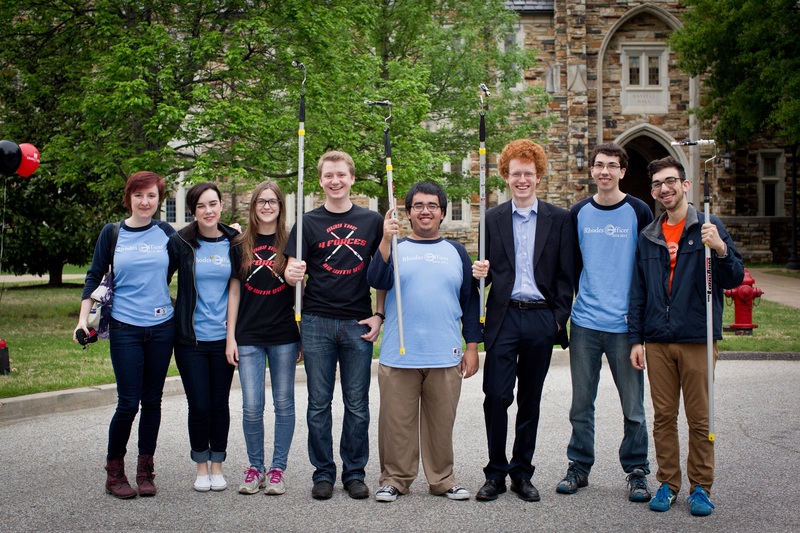 The Rhodes SPS chapter is well-known for its many on-campus and community events. Our annual favorites include such things as the Liquid Nitrogen Halloween Pumpkin Drop, Physics Formal, Physics Fun at local schools, Rites to Play Magic Show and much much more. Pizza, Physics, and usually something that explodes. What more could you ask for? Meetings alternate weekly between lunchtime gatherings held at the Rat to afternoon assemblies in the physics lounge. Joining SPS is easy. Just show up at the meetings and participate, and join SPS national by filling out the online form. We also host a membership meeting at the beginning of each school year where you can sign up. The physics department will pay your membership fee! Follow us on twitter @RhodesSPS and join the Rhodes SPS facebook group to stay up-to-date on what we're doing!